Nothing wrong with the bare necessities. exactly...simple and good quality items are all you need. It's like, I am happy to have my chanel bag than 100 cheap ones floating around!!! That's how I envision my bedroom at times. Just the 'primitive' stuff! 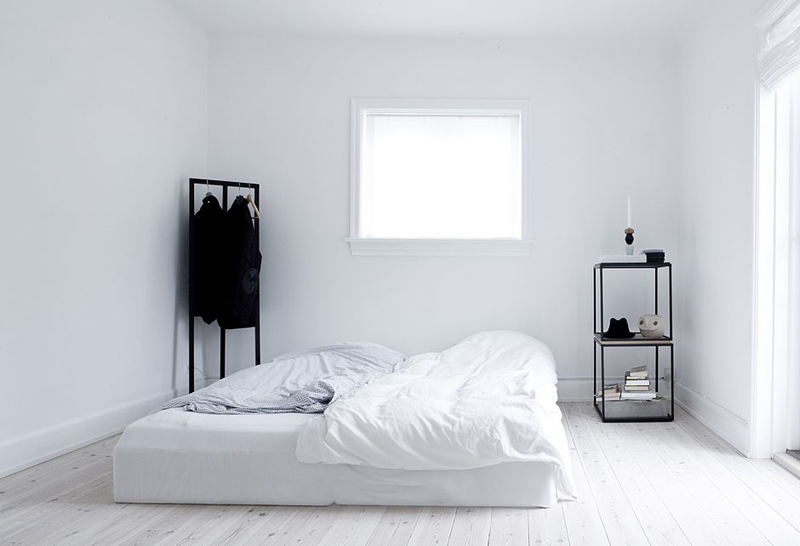 I always think room like this are so pretty, but there is no way I could ever become this minimalistic lol. Beautiful and simple. It would never work in my house of 6 sticky hands (3 kids 4 and under). Love it! simple is beautiful, have a nice sunday!